On the 16th of November 1965, Walt Disney announced that his company had acquired 27,443 acres of a Florida swampland, twice the size of Manhattan, where he had plans to build the utopian Epcot Center: Experimental Prototypical Community/City of Tomorrow. In his own words, “EPCOT will take its cue from the new ideas and new technologies that are emerging from the forefront of American industry. It will be a community of tomorrow that will never be completed. It will always be showcasing and testing and demonstrating new materials and new systems.” (Disney in the introductory film, October 27, 1966). As Walt Disney died of cancer a year later in 1966, most of his ideas for this planned city were abandoned and the now world famous Disney World Resort replaced it. Possibly sensing the end of his life and witnessing his grandchildren growing up, Walt started doubting the safety of their future in modern cities which were busy, chaotic, insalubrious and rife with crime. Disneyland had offered the public entertainment and escapism from their post-war existence, but this new urban plan would offer much more – an actual model for a better city of the future. 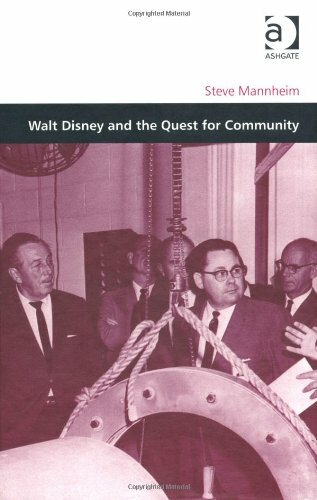 Steve Mannheim wrote how Disney began to study books about city planning, such as Ebenezer Howard’s Garden Cities of Tomorrow (1902) and Victor Gruen’s The Heart of Our Cities: The Urban Crisis, Diagnosis and Cure (1964). The author compared him to Le Corbusier in his interest for innovative transportation and even thought that during his last few years filming in the UK he may have been attracted to the developments of the post-war New British Town movement. The latter’s main objective was to decongest extensive industrial urban areas and build fresh new neighbourhoods in logically planned, self-sufficient towns in which the community was in charge. “In his last television appearance, shortly before his death in December 1966, Walt Disney declared that urban problems were the key problems facing society. The cities were jumpy. In 1965 Los Angeles saw the Watts riots, and the same year civil rights demonstrations targeted the New York World’s Fair where Disney had pavilions. In November 1966, President Lyndon Johnson signed the Demonstration Cities and Metropolitan Development Act (‘Model Cities’). This act aimed at the regeneration of cities, especially slum districts, and offered financial and technical assistance to develop ‘new and imaginative proposals’. (…)Walt Disney had reinvented the dirty old amusement parks as Disneyland’s family-friendly wholesome environment. 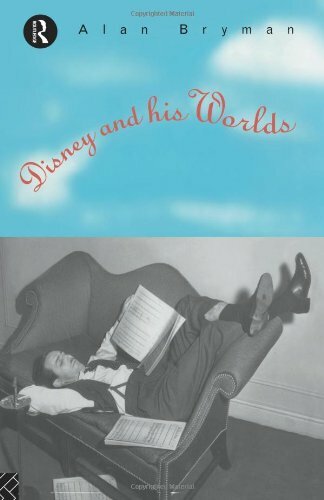 Now he would pioneer the conversion of decaying and corrupted cities into decontaminated and neighbourly towns.” (Esther Leslie, ‘Walt Disney and the Quest for Community by Steve Mannheim’, review in Journal of Design History, Vol. 16, No. 4, 2003). Disney’s model community EPCOT would house 20,000 residents, be built in the shape of a circle with businesses and commercial areas at its center, community buildings, schools and recreational complexes around it and residential neighbourhoods along the perimeter behind a green belt. Transportation would be provided by monorails and PeopleMovers . Automobile traffic would be kept underground, leaving pedestrians safe above ground. Disney thought that the growing number of cars in America caused excessive expansion and degeneration in urban areas. Even though his idealistic plan never came to fruition, this exercise provided his so-called ‘imagineers’ with scope to come up with future innovative solutions regarding transport, construction, the supply of electrical power and sewage systems. In many ways though, there was quite a fabricated, artificial feel to the whole project. Nobody housed in EPCOT would own their land or home, having no municipal voting rights, thus enabling Disney to update the latest technologies in their homes at any time. He also wanted all adults living there to be employed (no pensioners) within the parameters of the planned city which would have helped avoid social unrest. Possibly more disturbing was the fact that the houses built in circles with no fences or delimitations would look like a display window community where everyone could see everyone else at all times. This is very much reminiscent of the lives portrayed in The Truman Show, a 1998 American satirical social science fiction film directed by Peter Weir, written by Andrew Niccol and starring Jim Carrey as an innocent man unaware that he is living in a constructed reality TV show, broadcast Big Brother-style to billions of people worldwide. Eventually, Truman cracks the veneer of deceit and, step by step, overthrows the props that have held his make-belief life together. Coincidentally, the filming took place at Seaside, Florida Panhandle, a master-planned community not unlike Disney’s dream set-up. Disney’s brother Roy alleged that Walt was still planning EPCOT on what was to become his deathbed, in hospital, using the ceiling to mentally draw up the plans. Megalomaniac capitalist tycoon or visionary utopian with a socialist streak? Fact is, the loss of such imaginative potential is lamentable under any guise. I always thought it ironic that both Disneyland and Disneyworld were in Orange County. I was disappointed in Disneyworld, and saw it through an architect’s eyes, not the five-year-old that went to Disneyland. The 7/8 scale of Disneyland enchanted. Very interesting to hear your specialist’s perspective, thank you!